Sarah Ward is a licensed psychotherapist and yoga therapist. Through professional experience, diverse trainings, and evidence-supported research Sarah has found that integrating physical and spiritual practices into psychotherapy can help to achieve a more complete state of well-being than talk therapy alone. 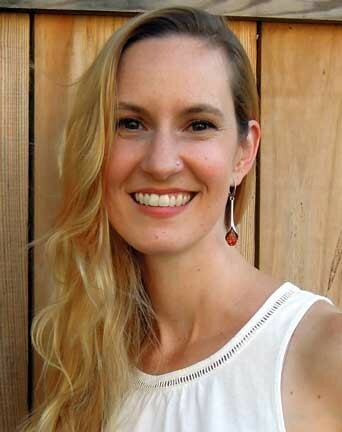 Sarah uses an individualized combination of traditional talk therapies, embodied therapies such as body awareness and therapeutic yoga, and spiritual practices such as mindfulness and self-compassion to help you create a deeper connection to your authentic self and develop tools to overcome obstacles to whole being wellness. Sarah received a degree in Advanced Clinical Practice from Columbia University and a Master’s of Divinity degree from Union Theological Seminary, where her work focused on the intersection of psychology and spirituality. Sarah received certification as a yoga instructor from the Integral Yoga Institute, one of the oldest ashrams in the United States, and in trauma sensitive yoga from the Trauma Center in Boston and Kripalu Center for Yoga and Health. She has been teaching yoga and therapeutic yoga since 2000 and has been practicing holistic psychotherapy in a variety of settings including community mental health clinics and universities since 2009. Sarah specializes in treating anxiety disorders, depression and identity questions, and trauma – particularly sexual assault survivors and adult survivors of childhood abuse.